7.3.2016: Dr Amrita Patel is conferred with Mahindra Lifetime Achievement award. She received the award from union Agriculture minister Radha Mohan Singh in New Delhi. She was given this award for her role in implementing f operation flood program. She was the former chairman of National Dairy Development Board from 1998 to 2014. 7.3.2016: Board of Directors of Yes Bank appointed Mr Ashok Chawla as the non executive director of the bank. The terms of current chairperson is going to end in October this year. Mr Ashok Chawla will be the future non executive part time chairman for the Bank. 7.3.2016: Padma Sachdev, the Dogri poetess and writer received Krutitava Smagra Sammam award for the year 2015. Her services and contribution to Dogri language were recognized and was chosen for the award. The award is given by Bharatiya Bhasha Parishad. West Bengal governor Keshari Nath Tripathi presented the award to Padma Sachdev in Kolkata. The award carries cash prize of one lakh rupees, citation and a shawl. 7.3.2016: Team India won the Asia cricket cup title for the sixth time. in the last match of the series, India defeated Bangladesh by eight wicket. Asia Cup 2016 was held from February 24th to March 6. Team India defeated Bangladesh who set a target of 120 runs. India reached the target in when there were 7 balls remaining. India lost the wickets of Shikhar Dhawan and Rohit Sharma. India needed nineteen runs in last two overs. 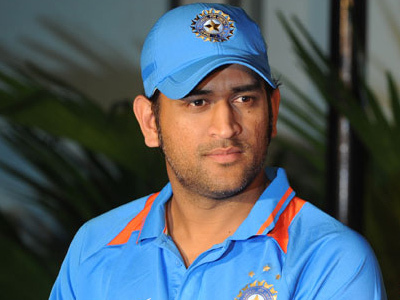 Dhoni finished the match by hitting one four and two huge sixes. Shikhar Dhawan was given the Man of the Match. He scored 60 runs in 44 balls. India, Pakistan, Bangladesh, Sri Lanka and UAE participated in the tourney. India won the tourney six times, Sri Lanka five times and Pakistan won it two times. This entry was posted in Current Affairs, News on March 8, 2016 by Rakesh.